Rauli wrote a journal on his 12 days of attending and handing out (3,000!) 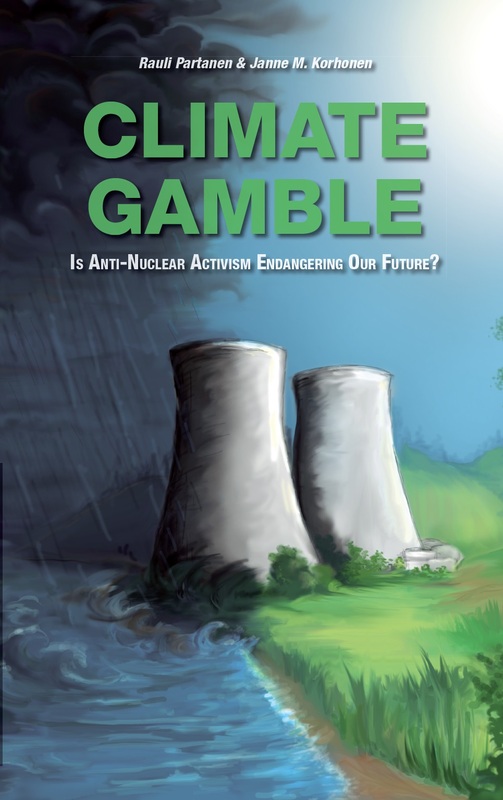 Climate Gamble books during COP21 with Janne. The style is somewhat personal, so read at your own risk. Needless to say, it was a highly interesting trip, going from being teargassed by the riot police to meeting Jim Hansen to speaking at what amounted the first ever COP discussion panel on nuclear and climate that went well and without disturbances. Here is a link to the articles, enjoy. To all who participated in the COP21 nuclear educational events: Thank you. My mind has been opened. The book is excellent. (It could use a bit more editing and better layout.) I hope many read it and take in your message. As you probably know, a somewhat nasty debate has erupted around Jim Hansen’s position. This can be healthy despite it’s initial tone. However, convincing the public will be a very steep hill to climb, and your messaging needs refinement due to the decades of mistrust and fear that have naturally built up around nuclear power.